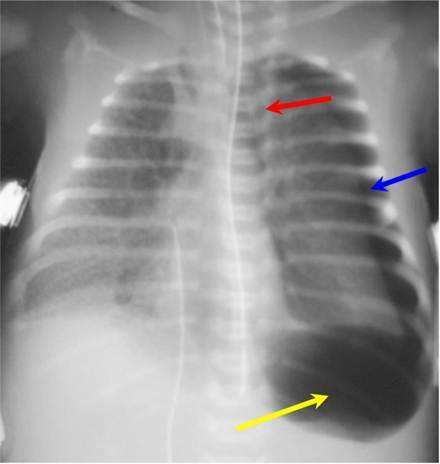 Tension pneumothorax on left (blue arrow) is displacing the heart and mediastinal structures to the right (red arrow); this case also shows a deep sulcus sign on the left (yellow arrow). There is underlying hyaline membrane disease. 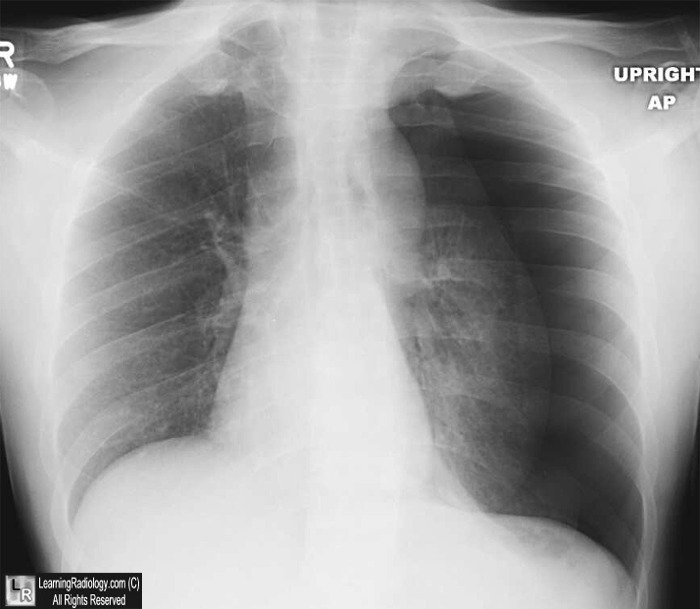 Tension Pneumothorax. Radiograph of the chest shows a large left-sided pneumothorax (white arrows) which is under tension as manifest as displacement of the heart to the right (black arrow) and depression of the left hemidiaphragm (yellow arrow). 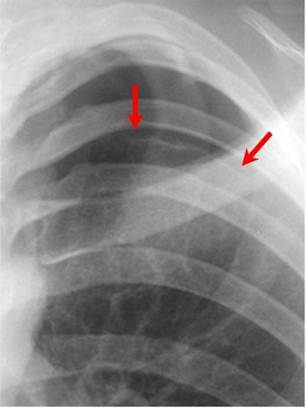 Tension Pneumothorax. 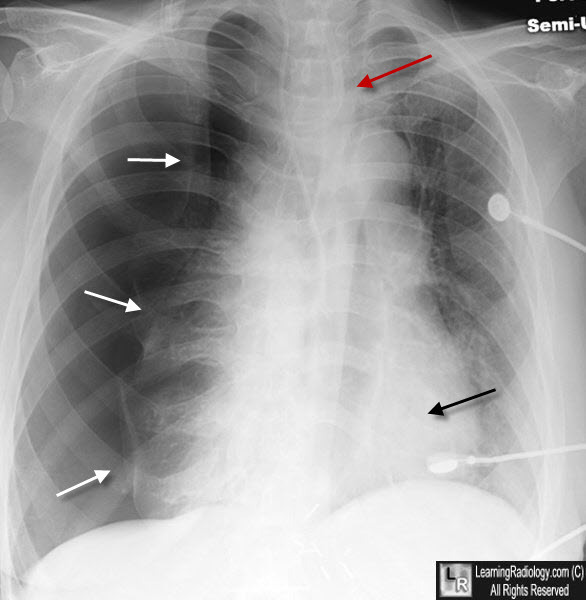 Radiograph of the chest shows a large right-sided pneumothorax (white arrows) with a shift of the heart (black arrow) and trachea (red arrow) to the left.